I am pleased to announce that I have officially done the deal on my new business premises and that I finally have the keys in my sweaty hands. These things do take an age and it has been exactly six months since my new year’s resolution of, not only starting and keeping up this blog, but also finding a bigger and better space to work from. Handy as it was working out of the garage– ahem, ‘converted outbuilding’, the size was limiting and it didn’t take long for it to fill up with props, photography books and a growing collection of hats and fascinators I am convinced will come in handy one day. We’re quite well off for character properties in regency Leamington, but believe me they don’t all look as good from the inside as the gleaming white stucco may suggest, so when I got to see the space available in Agriculture House I just fell in love with the place. I now have three rooms on the second floor; a reception area which I can use for meetings and viewings, a dressing room, my own bathroom with a shower and of course a large studio room. Over the years it has sensitively been converted from a grand townhouse and still has its sash windows, dogleg staircase and many other features. The view over Jephson Gardens and the Pump Rooms is just lovely and I can see myself using the natural light the corner studio allows me. 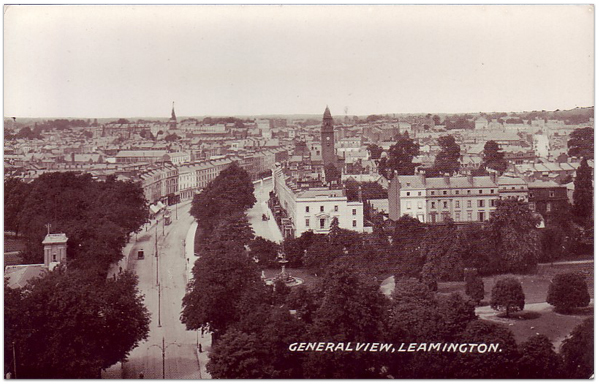 A great view I found on an Edwardian postcard of Leamington. To the right are some of the original terraced townhouses on the site where the new Justice Centre now stands. 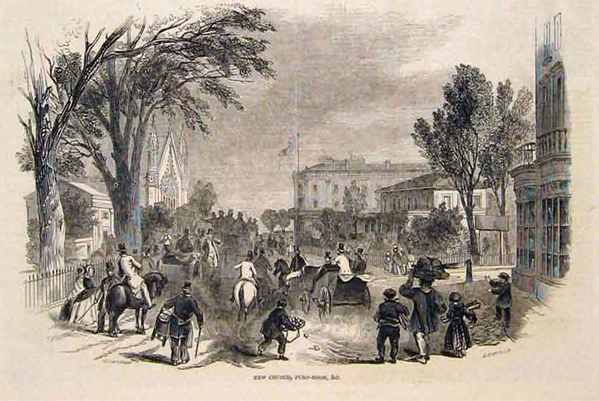 The property itself was one of the first built in Leamington’s boom years as a spa town, when Newbold Terrace was originally laid out by early Georgian architect John Nash – the designer of London’s Regent’s Park area. In 1852 it was known as Dyneror House and around that time was home to a baronet’s widow, her four daughters, a butler, housekeeper, footman, cook, servant and four maids. I’d be happy with just the butler. Over the years it has been home to part of one of Leamington’s famous success stories; Sidney Flavel & Co, various medical practitioners and between 1953 and 1976 was the office of the National Farmers’ Union when it got the name Agriculture House. It’s going to allow me to significantly expand the portrait and boudoir business and also gives me a lot more flexibility to take on more studio-based commercial work. Right now though, the space is just three empty white walled rooms, so now I need to get my finger out, assemble my trusty team of volunteers (Paul, Sue, Ewan, John, Tracy and Vanessa – I am taking you all up on your various offers of help with cleaning and moving) and get the place ready to start trading from and for the official launch party in a couple of weeks. Look out for your invites in your inboxes. ← Police. Camera. Art Direction. Looks as stunning as you. Well Done. Bloody fantastic. I am feeling a little green but really chuffed for you!!!! Don’t you dare have an opening party when I am away on holiday, I will be mortified! ooh Raquel, I’m impressed (but not surprised!). Very exciting for you, well done. Let us know when it’s your ‘launch’ too, we’d love to pop over! This place already looks photo studio ready with all those white walls and I really can’t wait to see what you’re going to do with it with all your girly boudoir things!